We just found a really cool voucher for you guys from Qatar Airways. With this voucher you can save 10 % off your next Qatar economy or business class booking. The 10% is reduced from the price of flight, excluding taxes and market surchages. By reading below you can find all the pertinent infos for the usage of this great voucher. 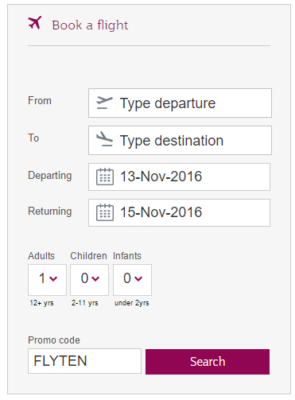 You can go either directly to the Qatar Airways Homepage or to the voucher Landing Page. On both sides there is flight search function where you can enter in voucher code. 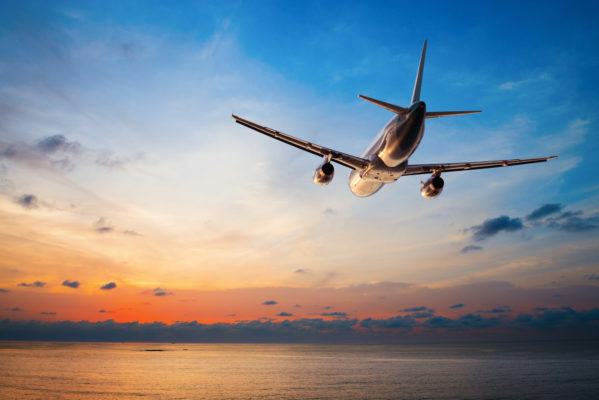 After the price of the flight is calculated, the voucher discount will be reduced from the price of the flight, excluding taxes and market surcharges. Qatar Airways is the national airline of Qatar. The airlines is consistently voted among the best airlines in the world and has received the 5 Star Airline Award from Skytrax. With over 140 destinations around the globe, they can get you to wherever you need to go and offer a bit of luxury in the skies at an affordable price. Sign up for our Newsletter, and don’t miss anymore deals. You’ll be the first to find out about our great offers!